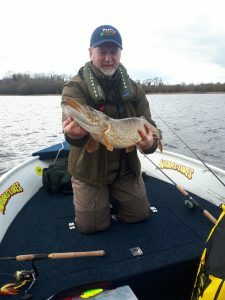 I was very lucky to have the chance to bring Pascal Leherissier, a french journalist with the magazine Brochet Sander out for a few days fishing on a couple of our lovely lakes here in Roscommon and Sligo. 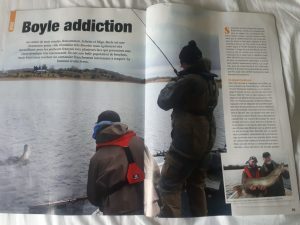 The article was based on trout and pike fishing in the north west of Ireland. 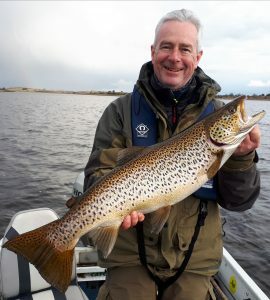 We were very lucky with the weather conditions which allowed us to fish the bigger lakes. First few days of fishing was all about pike. 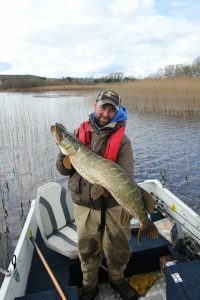 We had great action and landed some nice size pike. 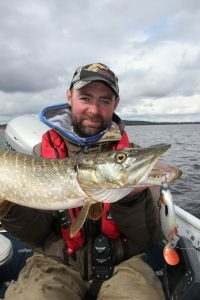 Most of the them were caught in shallow water on big shad junior lures, 20cm line-thru trout and a Westin roach shad. The next few days was all about trout as it was the start of trout season. First day was just casting small lures such as 7cm Rapala brown trout and smith d contact. It was a very difficult day fishing but still managed to land 9 wild brown trout and a couple of perch. 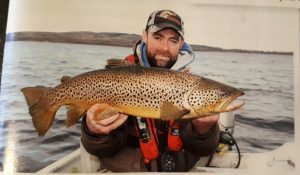 With fishing difficult we decided to go trawling for big trout the following day. The plan worked out well for us and landed three great trout. Both myself and Pascal got our PB trout. Pascal trout was 73cm and my own trout was 70cm. David also had a great fish at 63cm. 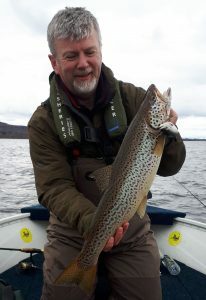 It was a great day trout fishing in Co. Sligo. 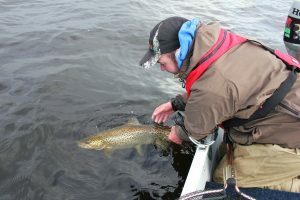 All the big trout were caught trawling and were released back to fight another day.